Tata Motors, NTPC, Balkrishan Industries, Emami, Motherson Sumi Systems and Vedanta were among 31 stocks from the S&P BSE 500 index hitting their respective 52-week lows on Friday in intra-day trade on the BSE. ITDC, GMDC, IFB Industries, Chennai Petroleum Corporation, Indiabulls Housing Finance, Uflex and Take Solutions also hit 52-week lows today. Tata Motors skid 22 per cent to Rs 142 in early trade today, after the company reported the biggest ever quarterly loss of Rs 26,961 crore in December 2018 quarter (Q3FY19). The stock hit its lowest level since September 26, 2011. Tata Motors said it took one-time exceptional non-cash charge for asset impairment of 3.1 billion pounds and the overall performance was dented on account of Jaguar Land Rover (JLR). Vedanta tanks 8 per cent to Rs 150, falling 24 per cent in past six trading days, after a subsidiary company, Cairn India Holdings, bought a stake in Anglo American from Volcan Investments, a family trust of promoter Anil Agarwal. The stock hit its lowest level since July 12, 2016, on the BSE. Brokerages have asked investors to either sell or stay away from Vedanta shares following the company’s move to buy Volcan Investments’ stake in Anglo American via subsidiary Cairn India Holdings. 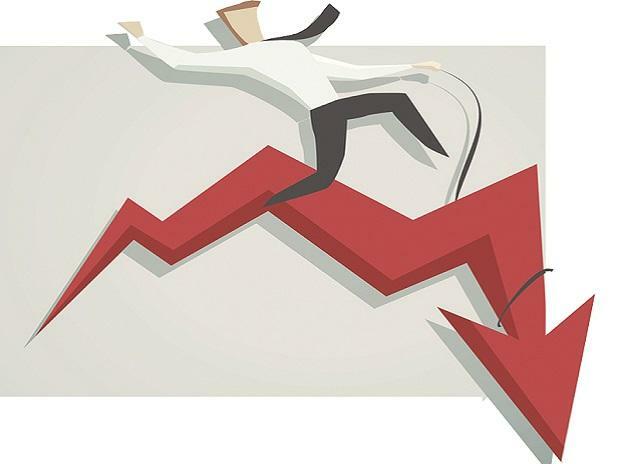 Shares of two tyre companies MRF (Rs 56,450) and Balkrishna Industries (Rs 750) have hit their respective 52-week low today, down up to 6 per cent on the BSE in intra-day trade. MRF posted 18 per cent decline in net profit at Rs 279 crore for Q3FY19, due to higher other expenses. Operational revenue grew 6 per cent at Rs 4,034 crore against Rs 3,799 crore during the corresponding quarter of previous fiscal. EBITDA (earnings before interest, taxation, depreciation and ammortisation) margin dipped 30bps quarter-on-quarter and 480bps on year-on-year to 13.7 per cent. Balkrishna Industries is scheduled to announce its Q3FY19 results today.